Traditional, ComposerLyricist - Jeffrey A. Greenberg, Producer - ALAN LOMAX, Recording Engineer, StudioPersonnel - STEVE ROSENTHAL, Producer - Phil Klum, Mastering Engineer, StudioPersonnel - Matthew Barton, Production Coordinator, StudioPersonnel - Liborio Garanfa, Guitar, MainArtist, AssociatedPerformer - Giuseppe Gavita, Violin, MainArtist, AssociatedPerformer - Anna Chairetakis, Producer Copyright : ℗ 2001 The Association for Cultural Equity, under exclusive license to Rounder Records, a division of Concord Music Group, Inc. Traditional, ComposerLyricist - Jeffrey A. Greenberg, Producer - ALAN LOMAX, Recording Engineer, StudioPersonnel - STEVE ROSENTHAL, Producer - Unknown Artist, MainArtist - Phil Klum, Mastering Engineer, StudioPersonnel - Matthew Barton, Production Coordinator, StudioPersonnel - Anna Chairetakis, Producer Copyright : ℗ 2001 The Association for Cultural Equity, under exclusive license to Rounder Records, a division of Concord Music Group, Inc. Traditional, Composer - Jeffrey A. Greenberg, Producer - ALAN LOMAX, Recording Engineer, StudioPersonnel - STEVE ROSENTHAL, Producer - Unknown Artist, MainArtist - Phil Klum, Mastering Engineer, StudioPersonnel - Matthew Barton, Production Coordinator, StudioPersonnel - Anna Chairetakis, Producer Copyright : ℗ 2001 The Association for Cultural Equity, under exclusive license to Rounder Records, a division of Concord Music Group, Inc. 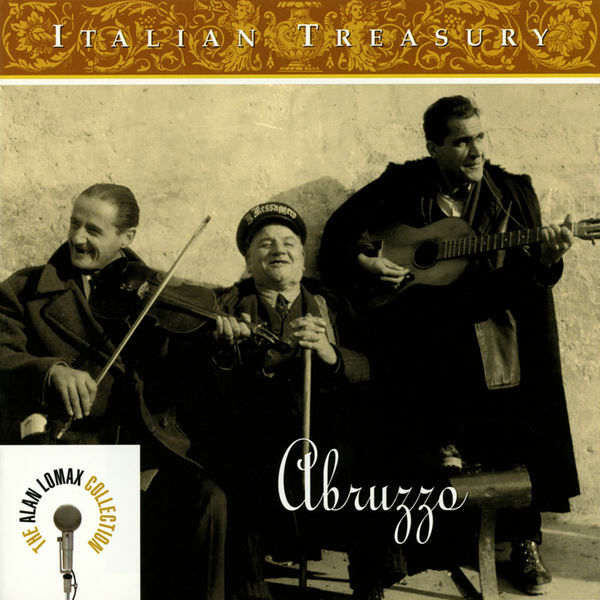 Traditional, ComposerLyricist - Jeffrey A. Greenberg, Producer - ALAN LOMAX, Recording Engineer, StudioPersonnel - STEVE ROSENTHAL, Producer - Phil Klum, Mastering Engineer, StudioPersonnel - Matthew Barton, Production Coordinator, StudioPersonnel - Liborio Garanfa, Guitar, MainArtist, AssociatedPerformer - Giuseppe Gavita, Violin, Vocals, MainArtist, AssociatedPerformer - Anna Chairetakis, Producer Copyright : ℗ 2001 The Association for Cultural Equity, under exclusive license to Rounder Records, a division of Concord Music Group, Inc. Traditional, ComposerLyricist - Jeffrey A. Greenberg, Producer - ALAN LOMAX, Recording Engineer, StudioPersonnel - STEVE ROSENTHAL, Producer - Phil Klum, Mastering Engineer, StudioPersonnel - Matthew Barton, Production Coordinator, StudioPersonnel - Anna Chairetakis, Producer - Pasqua Anadeo, Vocals, MainArtist, AssociatedPerformer Copyright : ℗ 2001 The Association for Cultural Equity, under exclusive license to Rounder Records, a division of Concord Music Group, Inc. Traditional, ComposerLyricist - Jeffrey A. Greenberg, Producer - ALAN LOMAX, Recording Engineer, StudioPersonnel - STEVE ROSENTHAL, Producer - Phil Klum, Mastering Engineer, StudioPersonnel - Matthew Barton, Production Coordinator, StudioPersonnel - Anna Chairetakis, Producer - Grazia Moretti, Vocals, MainArtist, AssociatedPerformer Copyright : ℗ 2001 The Association for Cultural Equity, under exclusive license to Rounder Records, a division of Concord Music Group, Inc. Traditional, ComposerLyricist - Jeffrey A. Greenberg, Producer - ALAN LOMAX, Recording Engineer, StudioPersonnel - STEVE ROSENTHAL, Producer - Phil Klum, Mastering Engineer, StudioPersonnel - Matthew Barton, Production Coordinator, StudioPersonnel - Anna Chairetakis, Producer - Iolanda Tuccella, Vocals, MainArtist, AssociatedPerformer Copyright : ℗ 2001 The Association for Cultural Equity, under exclusive license to Rounder Records, a division of Concord Music Group, Inc.